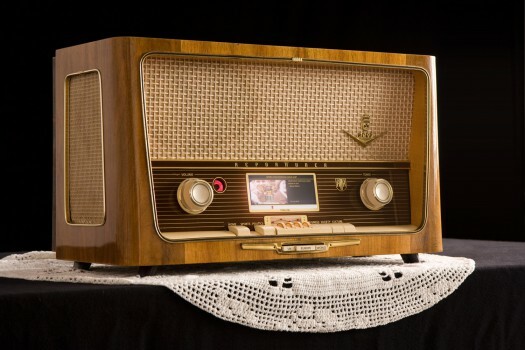 REPORTTUNER is a 50s analog radio updated with modern information technology. While the user interface works still in the same way as it did in the past, it has now access to data in the world wide web. 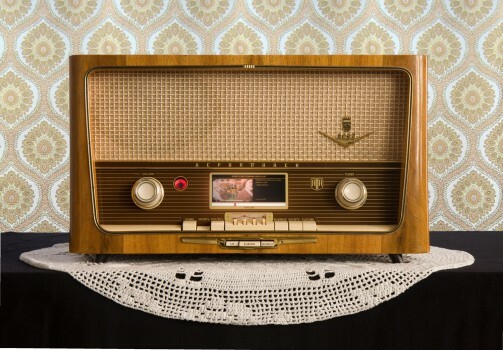 Beside the sound output and the analog display, the radio is extended with a projection screen. The user can select a topic and a geographical coverage using the hard buttons at the bottom. The software then downloads suitable news from the internet. It is also capable of loading articles from the past about the selected topic. By turning the tuning wheel, the user can scroll back into the history of the report and listen to older reports. It seems like the radio provides information from a memory of 60 years of reporting news. The REPORTTUNER connects classic and new media and translates digital data in analog output. Build with Processing and Arduino. News are streamed from the Guardian API. This work was created in 2010 as an bachelor thesis in communication design at the Wuerzburg-Schweinfurt University of Applied Sciences, Germany.